Welcome to InterMine’s online video tutorial collection. Here you can find out how to work with InterMine databases. You’ll also find a PDF version of each tutorial so that you can work through the examples off-line. 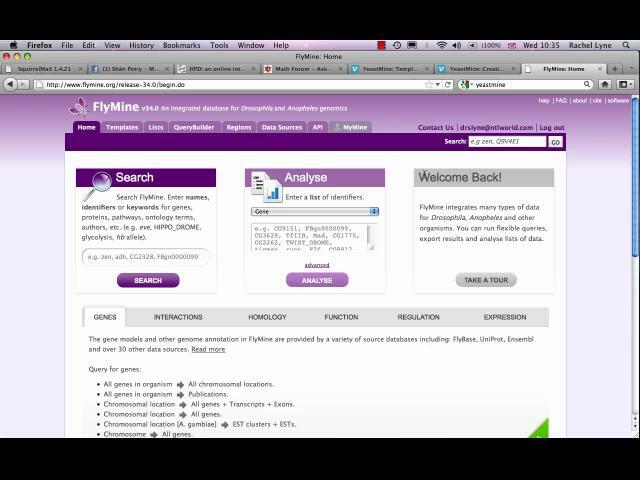 If you’re new to InterMine it’s probably best to see the ‘FlyMine Lightning Overview’ tutorial first. 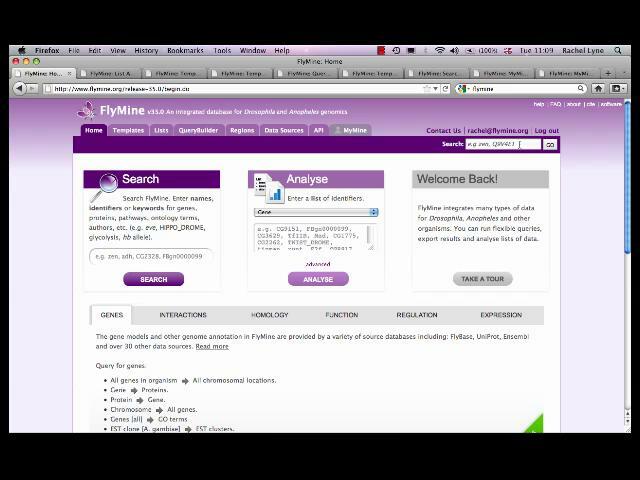 A quick introduction to InterMine’s web interface using the FlyMine database. Lists: InterMine’s List creation tool helps you upload a List of identifiers - most commonly Genes, Proteins or SNPs. See how to upload a list of Gene. Templates: To help with data analysis, InterMine includes a library of Template searches - predefined searches designed to perform a particular task. Each one has a description and a form to fill in. 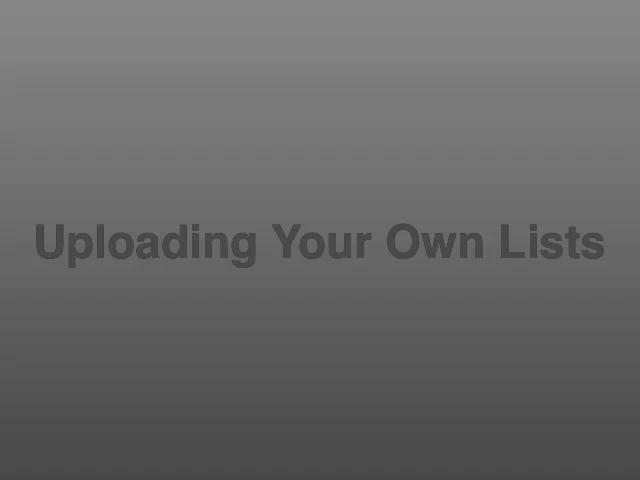 This tutorial shows you how to upload a List of Gene identifiers. This tutorials shows you to analyse data with InterMine’s predefined Template searches. See http://intermine.org/tutorials/ for a list of all available videos.